This Mustang was featured at the 50th Anniversary Mustang Celebration Las Vegas, after a five-year build and restoration. The car features a blown Klein engines 351 small block Windsor stroked to 418, 1208HP without the squeeze of 275 nitrous. Everything on this car has been gone over meticulously, from the flat headed bolts to the custom engine and interior. The billet steering wheel and bare metal look to the interior give a classic, but modern feel, from the roll cage to the dash. Watch the whole video for the complete rundown of this magnificent car. 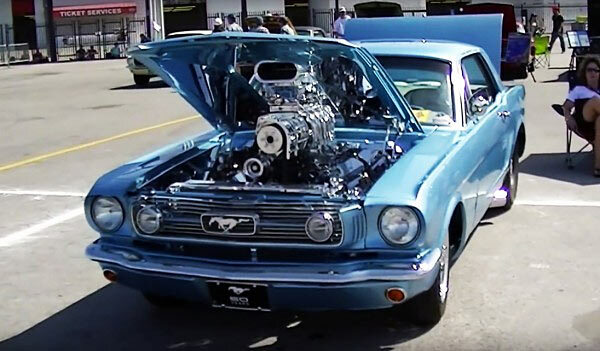 ← Previous Story Muscle Cars With A Pinch Of Dave Lee Roth!